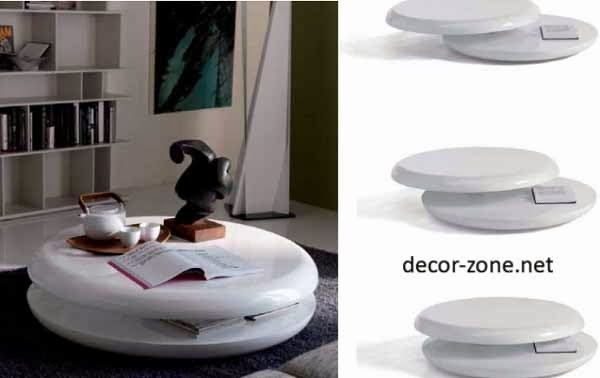 before, we talked about coffee table decorating ideas, and that article achieved a great number of views, today we are talking about the modern coffee table, and provide you with chosen collection of coffee table designs of different materials. Designers urged not afraid to experiment and take advantage of the availability of original, high quality and beautiful furniture. Design of living rooms Denelli Italia proposes the creation of an ideal living space that allows you to unwind and enjoy the creative and functional furniture. Denelli Italia strives to offer high quality modern designer furniture. Their work is a desire to be at the forefront of design, "style above all else." Find the perfect living room furniture, which would combine quality, style and practicality - a difficult task. 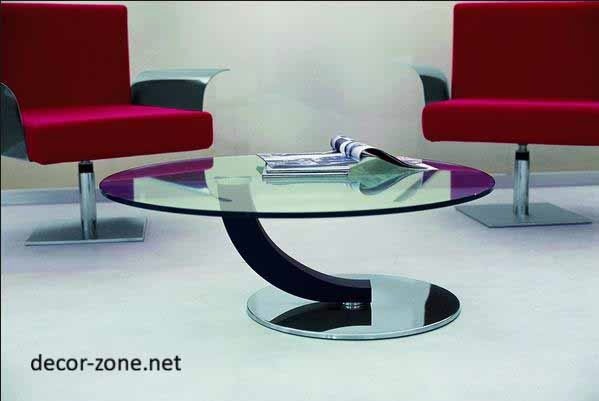 Wind coffee table designs with a curved countertop of transparent safety glass on a massive black and white base. Adjustable modern coffee table designs from Porada is made of a solid foundation, made of walnut wood, and a round coffee table top of tempered glass. The uniqueness of the section lies in the possibility to adjust the height by means of an electronic remote control. the coffee table designs Yo-Yo from Cattelan Italia created to amaze. It could well be the pride of any interior, the admiration and envy of guests. Table name Yo-yo suggests that its upper part, made of white lacquered wood, should rotate. The result is two working surfaces. Lovers of style and reliability will appreciate the modern coffee table design Miyabi tinted oak. 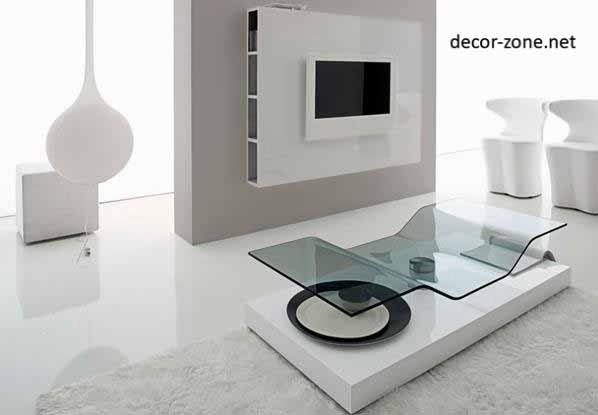 Pros of the table - stylish design, practicality and beauty, it turns into a fashionable piece of furniture ever. 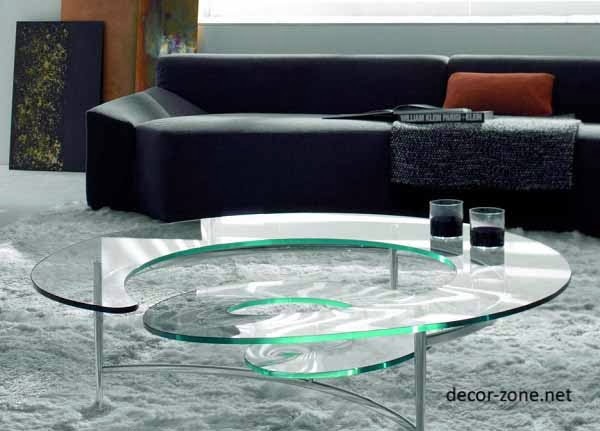 Cobra wooden coffee table designs have one or two glass surfaces supported by a curved wooden pillar of tinted walnut. 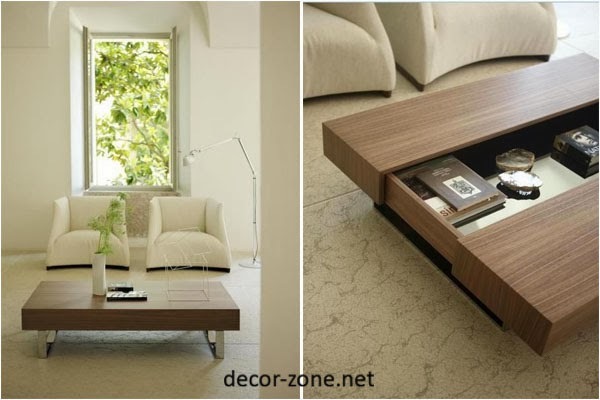 Amazing modern coffee table, inside which you can store lots of little things, such as CDs, books, magazines. It is made ​​of wood, tinted in different colors.